Beto O’Rourke was supposed to be Democrats’ main weapon against Trump. Not anymore. 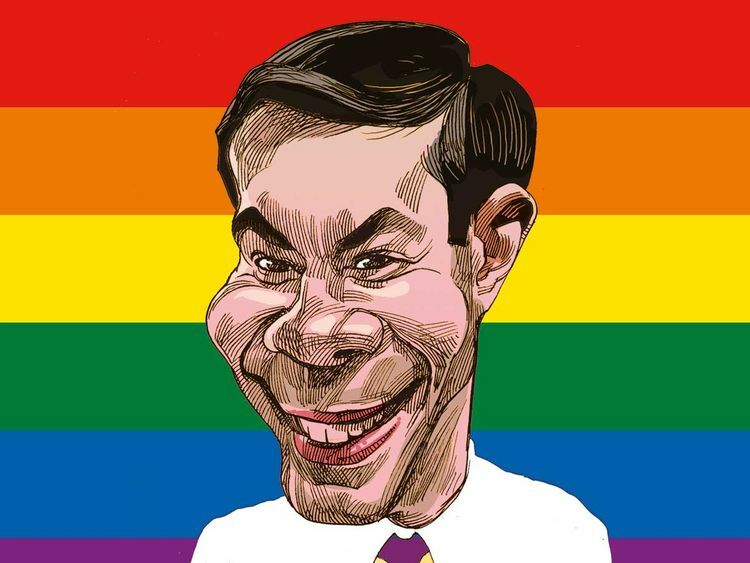 Pete Buttigieg, the mayor of South Bend, Indiana, and usurper of Beto O’Rourke’s status as American media’s darling, has a few things in common with the man he has displaced. They’re both relatively young, relatively good-looking, white guys from parts of America that the Democrats could stand to win over. They’re progressive to a point, but they’re not ideologues. O’Rourke is a former congressman from Texas. Buttigieg is a Harvard graduate, Rhodes scholar and Navy veteran (it’s impossible to weigh in on Buttigieg, it turns out, without reproducing his resume). In 2011, at age 29 he took 74 per cent of the vote in the mayoral election of South Bend making him the youngest-ever mayor of a town of 100,000. He’s held the job ever since. It’s not so surprising that these two men seeking the highest office in the land have chosen a Homeric epic, The Odyssey, to undergird their own mythmaking (both love the book). But the differences between the original Odyssey and its 20th-century interpretation say something about the differences between O’Rourke and Buttigieg as candidates, too — and they may help explain how the latter has gotten his edge. First there’s O’Rourke, who said of the presidential race to Vanity Fair, “Man, I’m just born to be in it.” He likes The Odyssey, and he likes Joseph Campbell’s The Hero’s Journey, which spells out a theory of heroic narrative O’Rourke plainly believes he can match. A man — and, yes, it’s generally a man — strikes out to achieve something, and though he suffers, he prevails. That man is special, and by using his specialness, he can deliver wonders to the unanointed. O’Rourke has drifted to and fro, amassing adventures before finding his way home. His rocker road-tripping then and his countrywide precampaigning now are all about the self-discovery necessary to lead others. Interestingly the Beto-mania has never been about being complicated: It has been about charisma, about how hopping up on countertops is a suitable substitute for the sort of wonkery that can tend to turn voters off. There’s that word: narrative. This time, though, stereotypical heroism is left out of it. O’Rourke lived-streamed himself getting his teeth cleaned. Buttigieg live-streamed himself filling in a South Bend pothole. Buttigieg-mania isn’t really a thing, and that’s not only because it’s a mouthful: It’s because Buttigieg is appealing not for being larger than life, but for being regular-size. That’s refreshing in an era where, as Buttigieg himself pointed out, one nominee in the last presidential election put “I’m with her” on campaign buttons and the other was Donald Trump. Refreshing, too, is Buttigieg’s insistence on Democrats developing a “vocabulary” that redefines high-level values such as “freedom,” as well as his focus on reshaping democracy with a larger Supreme Court and an end to the Electoral College. The orientation to everyday detail that seems to define Buttigieg could be radical or it could tend to perpetuate the status quo that the insurgency on the left and those blue-collar voters alike want to leave behind. His desire to reclaim faith and community for the left could be a foray into the future, or it could end up calling Americans back to the past. Until we really see his policy positions — and we haven’t yet — it’s impossible to know for sure.